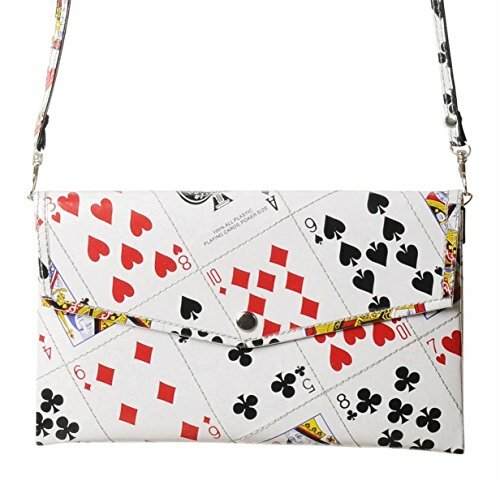 This thin clutch purse in an envelop shape is made using a collage of classic playing cards, placed in a random formation. Covered with clear plastic for protection. Comes with a detachable and adjustable strap. Using a clip button for latching. Polyester fabric used for the lining.